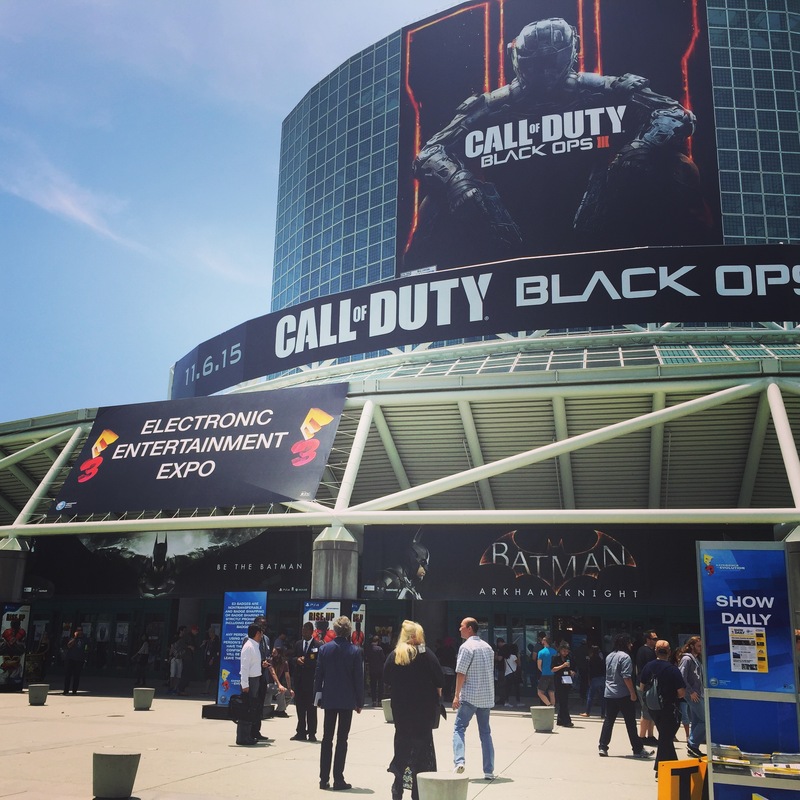 Taking place in Los Angeles, the Electronic Entertainment Expo (E3) is the world’s premier trade show for the games industry. This year over 52,000 people attended – even Kanye West made an appearance (playing Street Fighter V behind a privacy screen, so I’m told). Blockbuster game announcements included Fallout 4, Halo 5, Uncharted 4, Lara Croft’s next adventure and a new game in the Gears of War franchise. Design led games include Unravel, Abzu, The Last Guardian. And for a dose of nostalgia, it was all about the Final Fantasy 7 remake. I was on the show floor checking out the best that the industry had to offer, with a team supporting from our UK HQ. Here are some of the top trends we spotted this year. Microsoft had previously revealed an Oculus Rift tie-up and at E3 they announced a Valve partnership, meaning its HTC Vive VR headset will work on Windows 10. The company also revealed a new live demo of its Hololens augmented reality headset running Minecraft. Everyone from Paper Crane in the Indie Cade area (a section of the showfloor showcasing indie games) to our client FOVE, who were showing off their eye-tracking VR technology, show that that fans are eager for an immersive gaming experience and see if it lives up to the hype. Star Wars fans – which includes most of the Dynamo office – were finally able to see the long awaited Star Wars Battlefront gameplay footage. EA demoed the Battle of Hoth, available November 17 (one month before the new Star Wars film debuts in cinemas). You can play as Luke and Darth Vader among other Star Wars characters, and gamers will be pleased to see that it actually looks damn pretty good. Sony announced a remake of Final Fantasy 7 with no actual release date, Uncharted 4 and The Last Guardian have long awaited launches, and some were even shown for the second year running at E3 with no nearby official release. This approach which was more prevalent in 2015 gives game developers a chance to get it right and give fans what they want. With PC gaming and its penchant for user-created content on the rise, this year we saw its impact spread to other platforms. LittleBigPlanet developer Media Molecule revealed Dreams, and Bethesda is offering more scope for user mods after the success of Skyrim (cheeeese?). Other games include GTA V, Fallout and Doom. On the consumer side is Nintendo’s Mario Maker, where I created my own 2D levels in the style of various titles from across the series’ history. Our client Bloxels also demoed their “build your own videogame” Kickstarter project. Horizon and ReCore featured female protagonists in their debut trailers, Assassin’s Creed Syndicate and Dishonored 2 now have female protagonists too. EA, as well as revealing that the new FIFA 14 release will have “interception intelligence” to improve gameplay mechanics, also announced in a first for the soccer franchise that there would be female teams. To many this is a welcome change, showing that the industry is moving in right direction and opening gameplay out to become more inclusive. There are a ton of articles as to who “won” E3 and it is reckoned to be one of the strongest E3s in quite a bit. In my view, it is ultimately the gamers who won, after all we all want to engage and excite them. A great tool we use for some of our clients is Brandwatch, and here is its analysis looking at social to find E3’s winner.